Ken Livingstone, ex Mayor of London, has given an interview on Press TV (see below) to Andrew Gilligan, Daily Telegraph journalist. In it Livingstone explains suicide bombings against Israeli civilians and accuses respected journalist, Martin Bright, of being an “Islamophobe”. 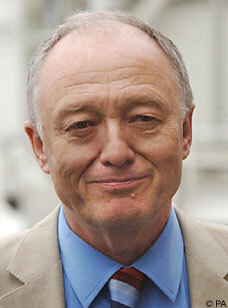 Livingstone indicated that he will be standing again for London Mayor in 2012. Gilligan presses Livingstone on the embrace he gave to Islamic preacher, Yusuf “homosexuality is a sin” al-Qaradawi, who Livingstone views as “a great reforming radical”. Livingstone simply compares al-Qaradawi’s views on homosexuality to those of the Chief Rabbi and the Church of England. Livingstone explains that although al-Qaradawi denounced 9/11 and the 7/7 bombings, he makes the exception for suicide bombings inside Israel because the Palestinians’ land is occupied and they have no weapons apart from their own bodies. To most people this would sound like someone who condones suicide bombings in Israel. Gilligan puts this to Livingstone, who denies it. Gilligan does not, sadly, press Livingstone further on this point. Livingstone also refers to Martin Bright, respected Jewish Chronicle and Spectator journalist, as “a bit of an Islamophobe”. Gilligan suggests that Livingstone makes the “Islamophobia” accusation too readily against people who disagree with his views and reminded him that he recently had to apologise and pay damages to Michael Keith for making a similar accusation. Livingstone does not seem to appreciate the difference between Islamism, adhered to by a tiny minority of Muslims and who interprete the Koran in a violent manner, and Islam itself. Livingstone suggests that Muslims in general are under attack from “the parties and newspapers of the right”. But Gilligan points out that the main critics of Islamic Forum of Europe in his own Dispatches programme were Muslims. Gilligan says he has seen the transcripts of the IFE who seem to say one thing to the likes of Livingstone but something else to others. According to Gilligan, Islamists wish to “overthrow western style democracy”. Livingstone’s anti-Zionist instincts are on full display here. He once said that Israel should never have been created. He blamed his loss of office to Johnson on the Board of Deputies of British Jews but he cannot seem to accept that his views are not only rejected by Jews but by British society more generally. In Part 1 (below) Livingstone attacks the current London Mayor, Boris Johnson, even going so far as crediting him with support from the BNP, something that Johnson has no control over. This echoes the accusation that Israel is supported by the English Defence League. Again, this is something Israel cannot control but it is enough for the anti-Zionist brigade to utilise for their criticism of Israel. And Livingstone views criticising fundamentalist Islam as a case of Islamophobia. He accuses Martin Bright and Gilligan himself of being Islamophobic. Someone who cannot make this basic distinction is plain ignorant. Livingstone regularly employs what David Hirsh refers to as the Livingstone Formulation when Israel is criticised: “For too long the accusation of anti-Semitism has been used against anyone who is critical of the policies of the Israeli government, as I have been.” (Anti-Zionism and Antisemitism Cosmopolitan Reflections, Yale Initiative for the Interdisciplinary study of Antisemitism, 2007, P.38). By casting both Bright and Gilligan as Islamophobes this formulation is now being extended to defend criticism of all forms of Islam, including Islamism. Gilligan is right to refer to Maududi. The hard-left in the UK takes homophobes like al-Qaradawi at face value when al-Qaradawi says to Livingstone “It is wrong to strike homosexuals”. The hard-left is quite flexible at being hoaxed into having sympathy with Islamism eventhough at the core of Islamism is an anti-Semitic, homophobic and misogynistic ideology. This is everything the left would normally reject. But then again Islamists and the hard-left share one enduring core value: the absence of a Jewish state. On the Oliver Finegold affair David Hirsh also questions whether Livingstone would have suggested to a black journalist who had similarly questioned him whether he was a “plantation owner”. Likewise, something similar to a Muslim journalist. All that said, British Muslims are starting to reject those on the hard-left who they feel do not reflect their own Islam, as we saw on election night when a group of 200 Muslims told George Galloway what they thought of him as both he and his Respect Party were rejected by the British people. With Livingstone also rejected as London’s Mayor this is an encouraging sign.